UCC Career Services strives to ensure students achieve their career goals. Providing one to one career advice, coaching, work placements and job opportunities as well as a number of employability classes and events. We were delighted to be involved in such an important aspect of shaping student life. 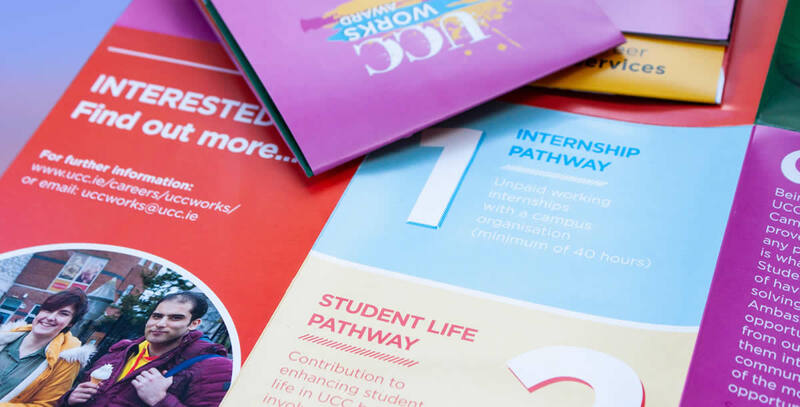 Working closely with UCC Career Services the overall aim is to push their current employment events and engage with students through a number of platforms. 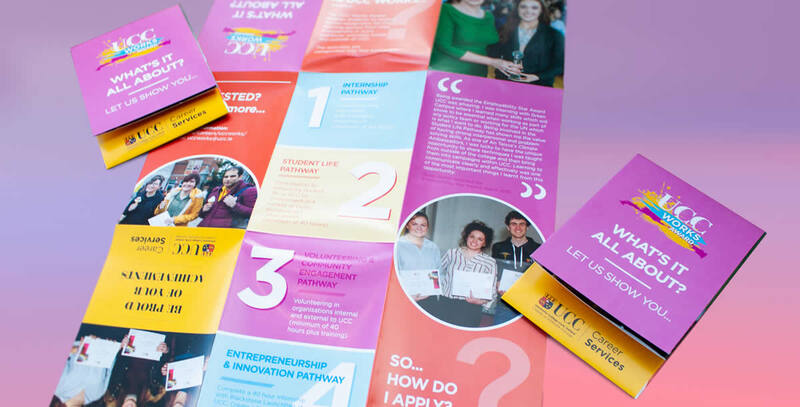 The team here at Babelfís are tasked with creating a number of bold and striking new campaigns which would effectively communicate and engage with the diverse mix of UCC students, while also adhering to the UCC Brand Guidelines. For each campaign, we designed a suite of printed communication material including posters and flyers as well as environmental graphics such as banners, roll-ups and flags to create an impact, enhancing events. We have also focused on creating a strong social media presence for UCC Career Services to effectively promote their events and communicate with the “always-on” student market of today. Through social media takeovers and videos we have ensured that UCC Career Services has a young, fresh and ever-evolving online presence.